All-New Styline: Featuring new bodywork and ergonomics inspired by the MotoGP® YZR-M1®, the 2019 YZF-R3® is sleeker, more aerodynamic and more refined than ever before. High-Revving Supersport Engine: Yamaha's championship-winning technology gives the YZF-R3 a broad spread of power with exciting high-rpm performance. Practical Performance: A range of exclusive technologies ensures the YZF-R3 combines Yamaha's legendary refinement and reliability with thrilling performance, all while sipping fuel at a efficient 56 mpg. Ultimate Lightweight Supersport: The all-new YZF-R3 features a range of features to boost performance, quality and style. 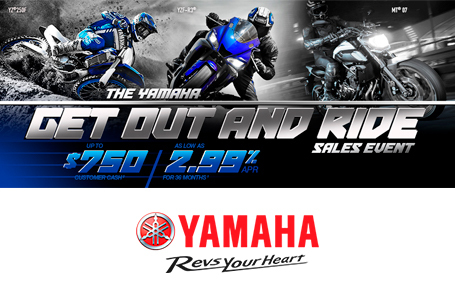 Sleek new bodywork echoes Yamaha's YZR-M1 MotoGP® machine, with high-tech LED lighting and new instruments. A new inverted fork offers enhanced suspension feel and feedback. The lower fuel tank and revised handlebar position improve rider ergonomics. And new Dunlop® radial tires boost grip and road feel. 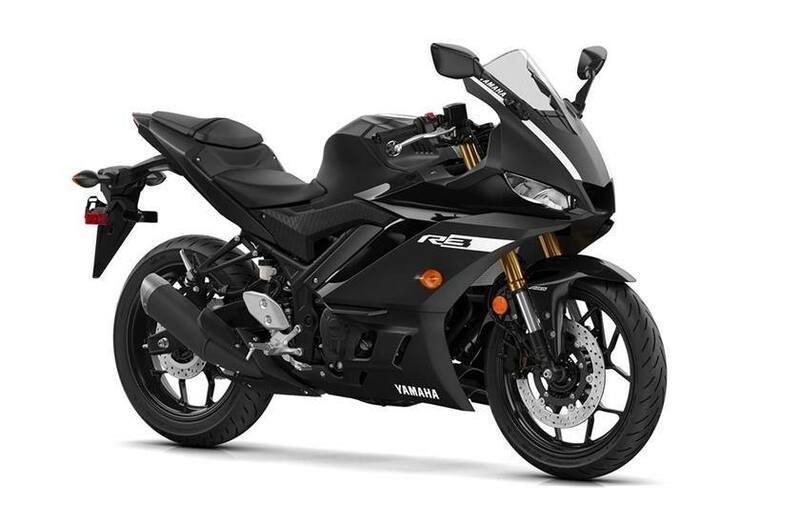 Advanced Cylinder Construction: Yamaha's unique all-aluminum DiASil cylinder is used to ensure excellent heat dissipation, with an innovative offset cylinder design that reduces horsepower loss and improves both power and fuel efficiency. 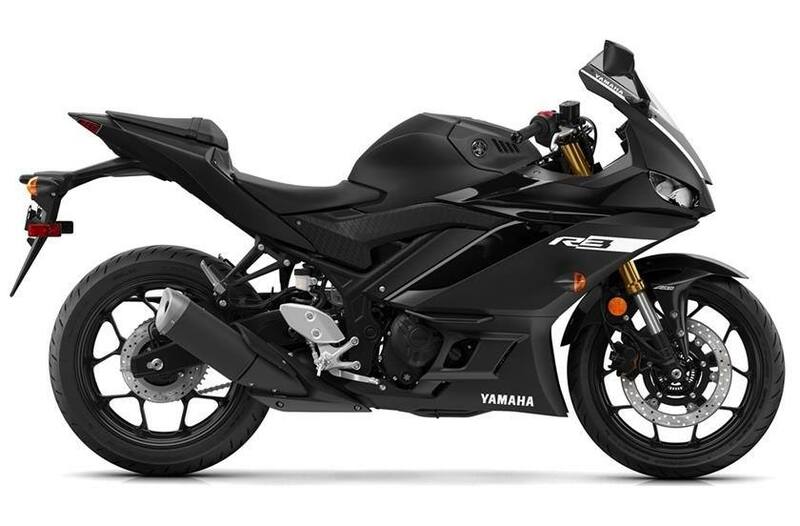 All-New Inverted Front Fork: For 2019, the YZF-R3 features an all-new inverted fork with optimized spring and damping settings. The inverted design allows the greater surface area for the sliding tube, significantly improving fork rigidity for sporty front-end feel and feedback without losing real-world comfort. The new fork design also includes an YZR-M1-inspired top clamp for improved supersport style. 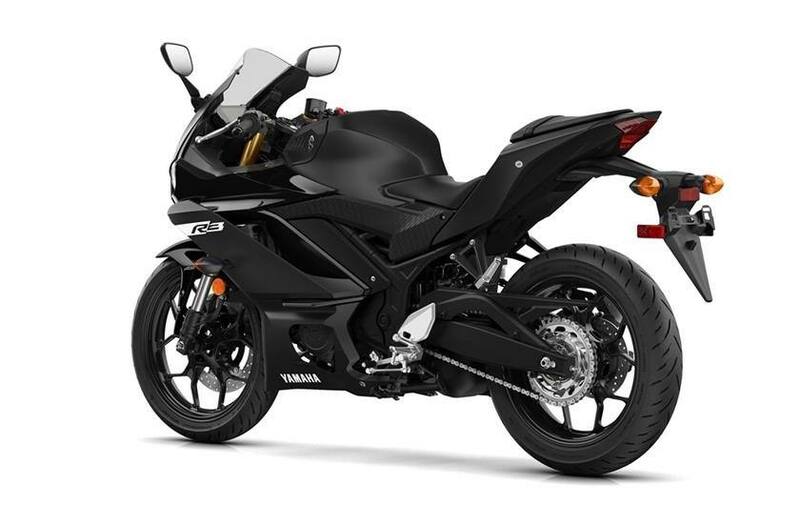 Sportbike-Spec Wheels and Tires: 10-spoke cast aluminum wheels with light hollow axles are both strong and stylish while minimizing unsprung weight for refined handling performance. For 2019, new Dunlop® radial tires offer enhanced grip and feedback, too. All-New R-Series Styling: The R3 features all-new bodywork that continues the legendary styling born from the YZR-M1 MotoGP® machine. Up front, the glaring face of the R3 features new LED headlights and a central air duct that works with the cross-layered fairing panels to maximize cooling airflow for the engine. Overall, the new body not only boosts refined styling from every angle, it is significantly more aerodynamic at high speeds, too. New Digital Instrumentation: The updated multi-function meter informs the rider of gear position, fuel capacity, real time and average fuel economy, water temp, clock and an oil change trip meter—all presented in a clean, modern layout. L x W x H: 82.3 in. x 28.7 in. x 44.9 in.